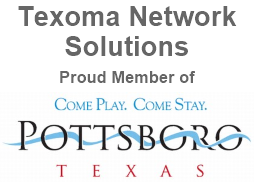 Texoma Network Solutions is a local IT services provider servicing the northeast Texas and southeast Oklahoma areas. We specialize in computer services, electronic device repairs, network installation & configuration, data loss prevention and data security implementation. These services combined create an unparalleled solution for any family residence or business entity for all of their electronic and networking needs. Texoma Network Solutions was founded by an experienced technician, Josh McBride, who wants to provide something that every other service provider seems to not embrace in their everyday business anymore; provide excellent IT solutions combined with exceptional customer service at an affordable price. Josh initially started this company as a sole proprietorship in his home for one reason, cost savings to the customer. Josh found that without a storefront, a substantial amount of money could be saved in additional expenses which results in being able to offer a lower price to the customer while still providing the customer service that every individual and business deserves. Since then, with the help of the growing community and by saving the profits, Josh was eventually able to move the operations into a small storefront without having to increase pricing while still being able to provide the same great service and support. Growth comes from growing with your customers, not increasing sale prices. ​ The founder, Josh McBride, has been working in the fields of technical support, networking, and computer repair/training since 2003. Josh has over 15 years of management experience and has also spent many years as a support technician. Because of this he understands the support needs of small businesses as well as home users. With his extensive training, education, and experience, Josh is adept at managing his time, quickly responding to customer calls and needs, and providing extraordinary solutions to any problem. Josh has his Associate degree in Computer Maintenance and Networking Technology which he earned at Grayson College while concurrently working full-time. To add to this, he has also acquired 3 certificates for Computer Network Administration, Computer Network Technician and Computer Support Technician. The education that Josh has received helps with the technology aspect, but according to him, does absolutely nothing for what the customer feels when they actually deal with a support technician. Personality, trust and understanding are very important qualities that you can not learn from a book and every customer is entitled to experience and enjoy. ​ Dalton started his journey of computers and software back in 2005. It has grown to be an admired hobby until he took on the responsibility of a technician here at Texoma Network Solutions. Dalton, like Josh, did not finish high school and instead decided to follow his dreams of becoming a successful advocate in the IT industry. 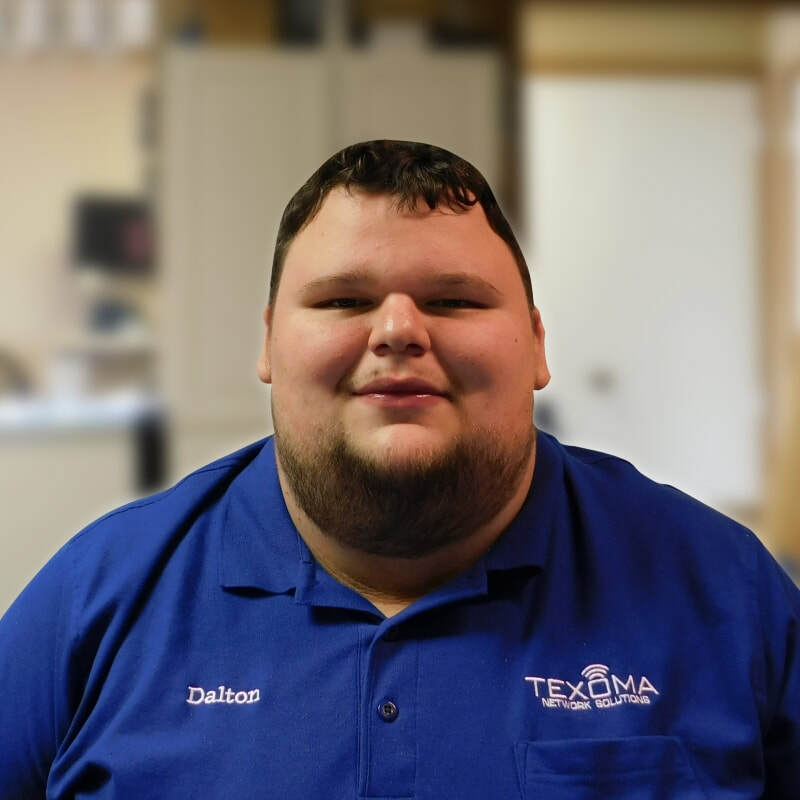 Dalton started out as a simple technician with the newly opened storefront for Texoma Network Solution, but quickly worked up the ladder to be able to run the store and tackle any task thrown his way. He takes a significant amount of pride in his work and is happy to help anyone he can whenever the opportunity arises.